nuqneH! Bored of standard vacations to places like Risa or Wrigley’s Pleasure Planet? Want to discover a unique and ancient culture not bound by standard niceties and social mores? Then Qo’noS and the vast Klingon Empire are for you! This one-of-a-kind travel guide will give you all the information you need to plan, enjoy, and survive your trip to the very heart of Klingon territory, from an overview of Klingon history to tips on what to wear (fur and leather are very popular) to a glossary of important phrases like “mamI' DaneH'a'? nItebHa' mamI' DaneH'a'?” (Would you like to dance with me?). Every major location in the Klingon Empire is covered in-depth, with tips on where to eat (you’ve not lived until you’ve eaten Klingon skull stew), how best to get to and from your chosen destination, and what to do if you find yourself challenged to a bat’leth battle to the death. Locations include the homeworld Qo’noS and its famous locales such as the First City, the Caves of No’mat the Hamar Mountains, and the city of Krennla, plus neighboring moons Corvix and Praxis, and many, many more must-see areas. 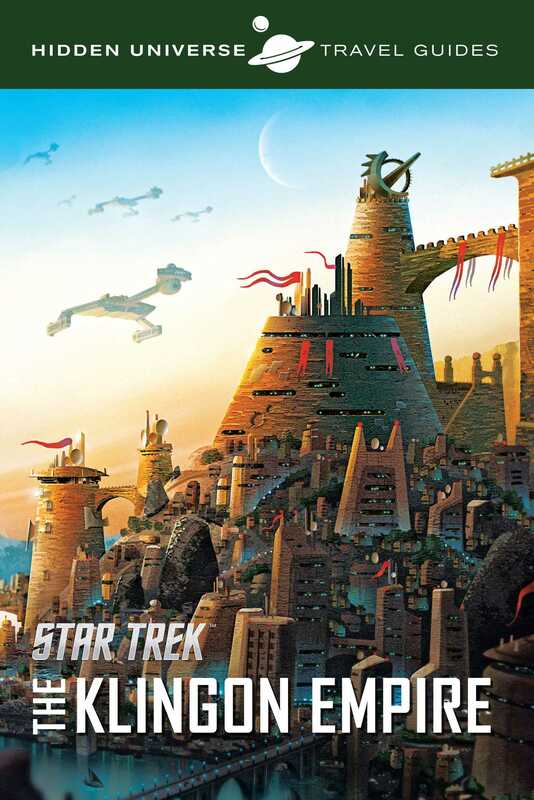 The book also features exclusive maps and illustrations that bring to life the Klingon Empire and form the perfect reference guide for any visitor. So what are you waiting for? Qapla’! Peter Markowski is a Los Angeles–based illustrator who currently works in Visual Development at DreamWorks TV. He has worked for Warner Bros. Animation and LEGO, as well as on various commercials, animated shorts, and several pitches, including one for an animated Star Trek series.